BlackBerry app games may not make you more productive, but they can definitely help you stay stress-free. These game apps give your brain a rest or a workout, depending on what you feel like playing. 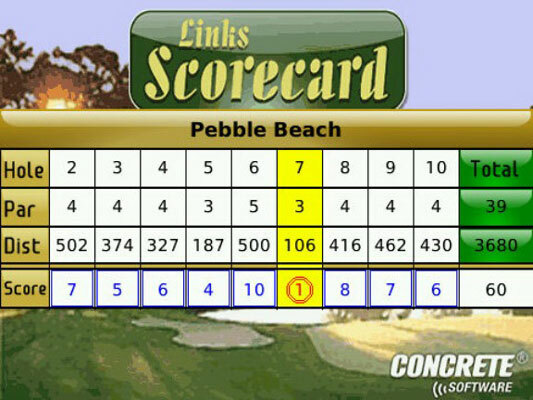 Links Scorecard, from Concrete Software, is a BlackBerry app that takes away one of the stresses of golf: keeping score. It’s a nicely designed individual scorecard. You can set up the scorecard before you leave for a day’s game or do it while you slowly progress out and back on the course. To enter scores, select Play from the main menu and choose from a course you’ve already entered into the app. Or you can create a card on the spot — which may or may not be annoying to others in your foursome and those waiting to tee off behind you. 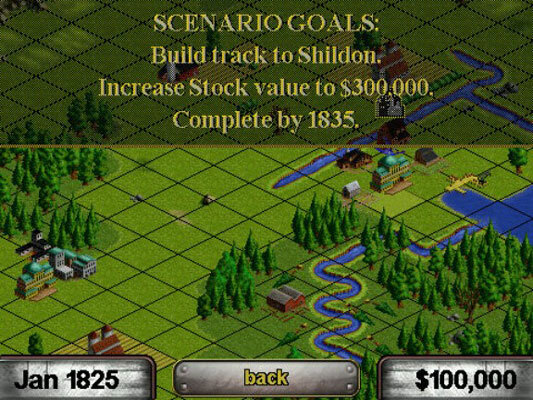 Railroad Tycoon on the BlackBerry (offered by Concrete Software) is basically the same intriguing mental exercise that that you get in the PC game, except that it’s greatly squeezed down to fit on the small screen of your phone. Obviously, compromises had to be made, but the small display does have the advantage of focusing your eyes and mind on the task at hand. Think of yourself as one of the great railroad builders in the days before highways, environmental protection laws, and hardly anything else in the way of regulation. It was a time of pure capitalism: can you build a railroad from a source of product or passengers and deliver it to a market or a factory or an immigrant city? And most importantly, can you make a profit? You begin with a bit of investment capital and a map of the wide-open spaces. You can research supply and demand and choose locations to connect. Then you investigate the relative costs of various routes and, if you need to, borrow money by selling bonds. You build track, stations, bridges, or tunnels if you must. You manage your finances, balancing debt against potential profit. 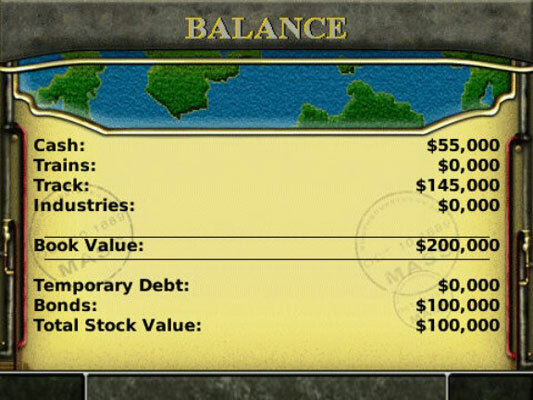 In the end, you win by producing a balance sheet that shows a profit. You lose by building a railroad to nowhere, or an expensive line that loses money. 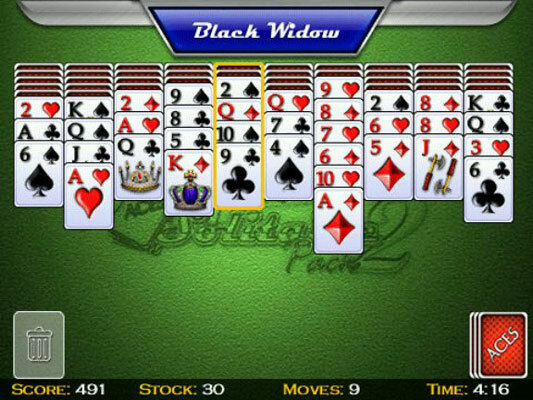 Concrete Software’s Aces Solitaire Pack 2 includes no fewer than 40 styles of the game and a full set of bells and whistles, including sound effects, stat tracking, and the chance to post your scores on the Internet so that you can see how you stack up against the universe of time-wasters playing one of the games on a subway train, in one of the non-driving seats of a car, or in the back row of a college lecture hall. The games are ranked by difficulty, and you can choose settings for each. 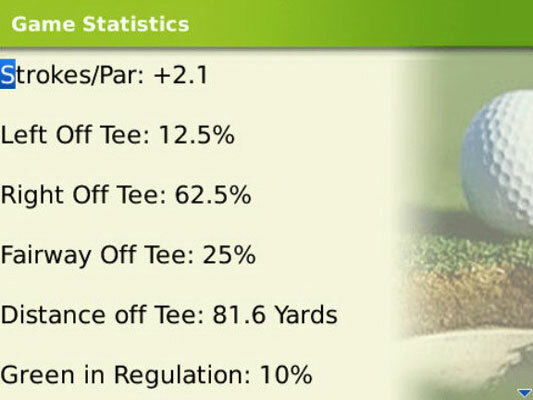 If you need a Mulligan you can undo or redo a move. Aces Traffic (another app from Concrete Software) presents you with a puzzle. Your car is blocked by a whole bunch of inconsiderate, clueless, and incompetent drivers — in other words, your daily commute. 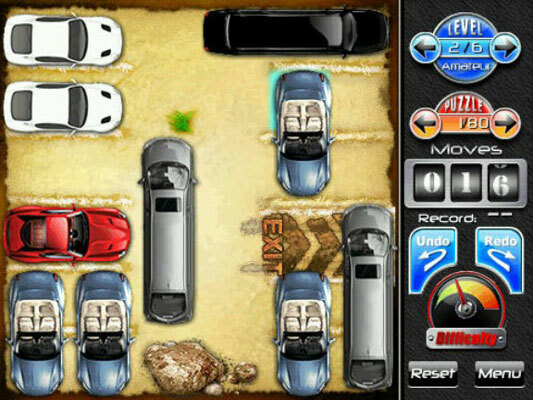 Your assignment is to get it from its parking space to the exit as efficiently as possible, moving the other cars out of the way to clear a path. The package comes with six levels of increasing difficulty, each with about 80 puzzles: that’s about 480 ways to drive you mad. 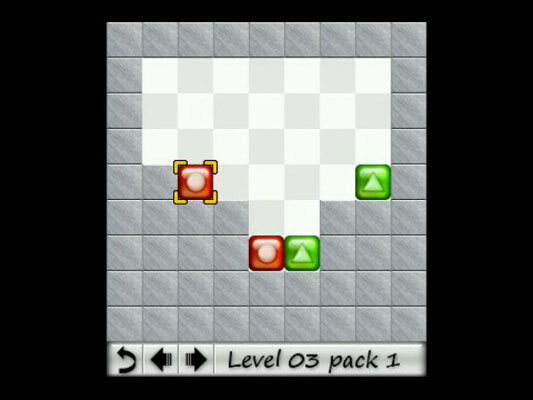 Next Dual Pack, from Mobigloo, is an intelligent game that helps you regain a bit of mental rigor. A few carefully chosen minutes of mental exercise may be the best way to sweep aside the cobwebs that sometimes develop between your ears. There are two levels of 64 puzzles each, a dual pack of dumbfounding puzzles. The rules are so simple: Remove all the blocks from the screen by joining same-colored blocks in groups of two or more. You’ll get the hang of it pretty quickly, at least on the early puzzles; the later ones can hook you for hours. Nintaii is a Japanese word that roughly translates as “patience.” You’ll need a great deal of nintaii to get through this deceptively simple game from Mobigloo, which mixes bits and pieces of checkers and pocket puzzles. 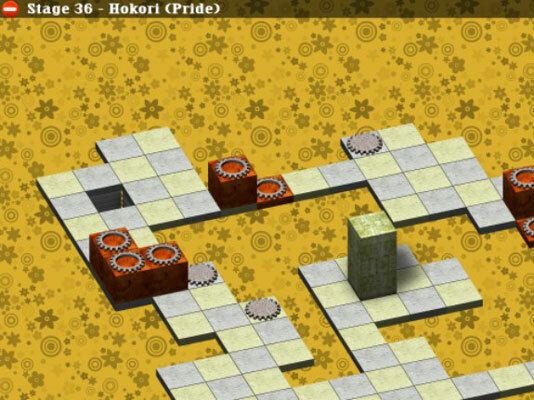 The goal of the game is to get the block to fall into the exit hole at the end of each stage. You click the block and roll it forward or backward. So far, so good, except that the block is rectangular (two cells wide or tall) and the hole is square (one cell). And there are dead ends and roadblocks, and in later levels, switches that have to be activated by standing the block on them. 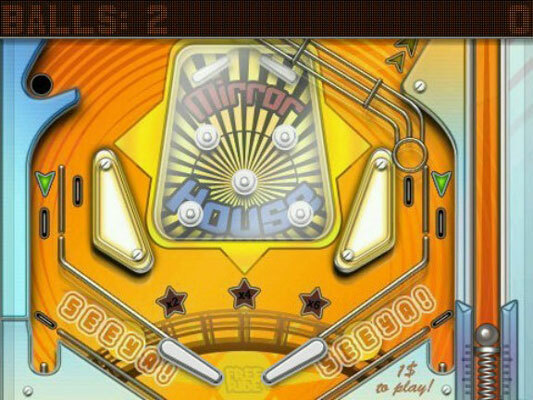 Mobigloo’s Pinball Deluxe is a technological wonder — a beautiful little version of the game of pinball, complete with some of the smoothest and most detailed graphics you’re going to find on any handheld smartphone. You even feel a vibration in the palm of your hand each time the ball strikes one of the bumpers. Push and hold the spacebar to retract the plunger, and then let it go. Then watch the ball while it careens around the screen and wait for the optimum moment to let loose one of the flippers. The designers let you press any key on the left side for the left flipper and any on the right for the other.